Individual Counseling to address issues such as mood disorders like depression, or anxiety and stress, difficulty coping, or just needing an objective, caring third party to listen as we sort through situational problems, explore life goals, manage change and transition, or pursue personal growth. Talking one-on-one with a trained professional in a confidential setting can be an extremely powerful and effective strategy to improve your life. Couples Counseling to address concerns specifically related to relationships. Couples counseling can address the variety of topics that couples face, whether the couple is married, engaged, or even just starting to date. Pre-marital counseling is recommended for any couple who wants to ensure that their relationship has what it takes to go the distance before saying “I do”. Even couples in stable relationships sometimes struggle from time to time to improve communication and problem solving skills, learn how to disagree in healthy, constructive ways, learn to negotiate differences, or share greater intimacy. Couples counseling can also be beneficial in helping rocky relationships get back on track – whether the task is to heal from infidelity or lack of trust, prevent divorce, or regain a sense of closeness, talking with a trained professional can make all the difference. In the event that a couple has decided to end the marriage, divorce counseling can be beneficial in helping a couple to separate or divorce in the healthiest and least destructive way possible – especially important if there are children involved. Family Counseling to deal with matters that affect more than just an individual in the family or just the couple. Whether you need to improve parent-child relationships, address behavioral problems in the children, learn to cope with a family member’s physical or mental illness, or just get a tune up so that all members of your family can feel happier and better supported, talking with a family therapist can be an invaluable tool. Family therapy is also often used in conjunction with individual and / or couples work. 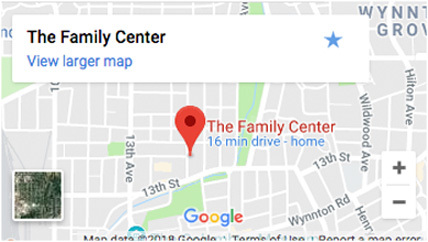 If you are looking for a way to improve your sense of happiness and well being on any level in your life, give us a call at Family Counseling of Columbus….where we help you find the solutions you are looking for.